Souris is a great place for lighthouse lovers with two nearby historic lighthouses that are open to the public. And one of these lighthouses is right in Souris itself! 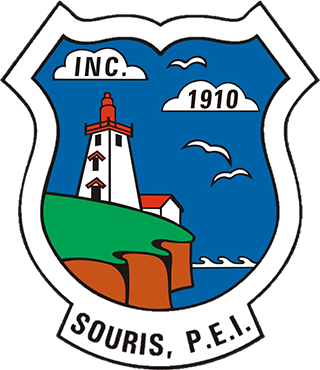 The Souris East Lighthouse has watched over the town since 1880 – years before Souris was even incorporated as a town! Standing over 14 metres above the cliff, the lighthouse offers incomparable views of the Town and the harbour. It’s a great place to watch the fishing boats come and go, or look down on the collection of pleasure boats in the marina. And if you time your visit, you can watch the ferry to the Isles de la Madeleine arrive and depart again from Souris Harbour. On a clear day, you can even see the highlands of Cape Breton. 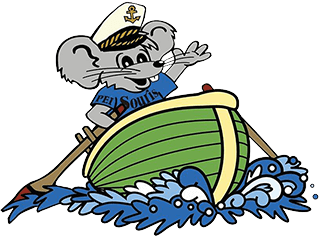 When visiting the lighthouse, you’ll also be able to learn about the history of sea glass and why Souris is such a popular spot for sea glassing. And don’t forget the visit our gift shop. The Souris Lighthouse is also the focal point for the yearly Sea Glass Festival, as well as the new Lobster Festival. 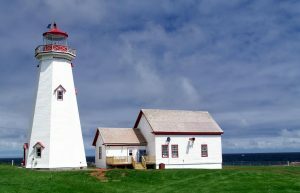 Standing at the eastern extreme of Prince Edward Island, the East Point Lighthouse is a few minutes drive from Souris. Popular as either the starting or ending point of the tip-to-tip drive, make sure to get your ribbon (or certificate) to prove that you covered the Island from east to west. 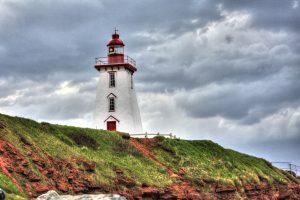 Constructed in 1867, this was the last lighthouse built on PEI before the province joined Confederation. You can tour the lighthouse and visit the craft shop. On a clear day, from the top, you get a panoramic view looking out over the water all the way to Cape Breton. And if you are there at the right time, you can see the lobster boats plying their trade in the area.